Why take wedding photos the old-fashioned way (from Earth) when you can get a bird’s-eye view that captures the scene from up above? Since drones have evolved from high-tech military accessories to affordable, camera-equipped personal electronic devices available to most consumers, photographers have come up with many new and unique ways to use them. Drone wedding photos are a great way to capture your special day through video and still photos. Aerial wedding photos are particularly valuable if your wedding is set someplace that’s unique in nature or architecture, like on a historic property or in an expansive park. Though you might not expect it, modern-day drones can provide an aerial perspective that’s vivid enough to capture precise details like table settings and ceremony decorations. Drone wedding photography is especially useful for capturing the big-picture special moments — like your post-ceremony exit (the view of in-flight rose petals or rice is really quite astounding from above) or first dance. On this Opening Day 2015, we wanted to highlight the iconic Fenway Park. Even the most diehard Yankees fans agree that Fenway Park is something of a sports-related holy site. This century-old ballpark has been the home of the Boston Red Sox since its opening in 1912 and has since hosted 10 World Series, with the Red Sox winning five of them. Due to its challenging position at the center of Boston’s Fenway-Kenmore neighborhood, Fenway Park is one of the smallest Major League Baseball fields, with a seating capacity of just 37,500 (compare that to the largest — Dodger Stadium — which holds 56,000 fans). Still, Fenway Park has a lot to offer first-timers and seasoned season ticket holders. The Lone Red Seat, for example, is just one reminder of the stadium’s rich sports history. This red-painted chair, located in the right field bleachers, marks the stadium’s longest home run, a 502-foot long clobber hit by Ted Williams in 1946. Fenway Park is also home to the Fenway Frank, a Piccalilli-topped, steamed hot dog that’s long been known as a hometown favorite, and a 60-foot tall landmark Citgo sign that has become a Red Sox good luck charm. 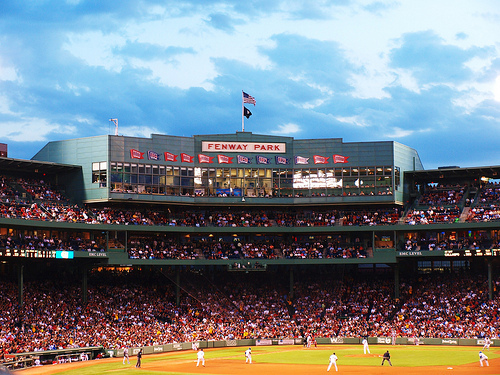 This legendary Major League stadium is just one of Boston’s many charming, historic landmarks. Give mom the Mother’s Day gift she deserves with a three-course prix fixe brunch set within the Hampshire House — our inviting Georgian revival townhouse at the center of historic Beacon Hill. Hampshire House’s lavish interior décor, fitted with Italian marble and Palladian windows that overlook the breathtaking Boston Public Garden, will inspire and impress moms with an eye for the exquisite. Our Mother’s Day brunch menu includes seasonally inspired main dishes like wood-grilled lamb chops and herb-crusted salmon, flanked by your choice of light and palatable starters and the Hampshire House’s indulgent chocolate trilogy. A full bar is available for tasting our popular bloody marys, mimosas or screwdrivers. 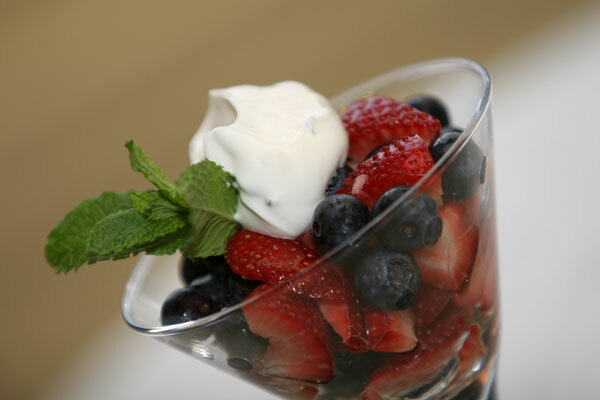 This spectacular Boston Mother’s Day brunch will take place from 11 a.m. to 2 p.m. on Mother’s Day — Sunday, May 10. The cost is $55 per person and does not include the cost of tax, gratuity and beverages. Call 617-227-9600 to make reservations. Keeping organized is an important part of hosting any event — whether it is a small-scale corporate retreat or a wedding with a lengthy guest list. These handy apps and programs will help ensure that every element of your affair is accounted for, from RSVPs to itineraries and all the little details in between. 1. Evernote — This essential smartphone app lets you keep tabs on all of your event notes and lists, with an effortless search function and sharing capability that helps ensure that information is well-organized and in the right hands. 2. Microsoft Excel – It may seem obvious, but any event-planner should be savvy enough to take advantage of Excel’s most useful features. This software is a must-have for budget-keeping (the automatic calculations a real life-saver) and organizing names and addresses. 3. Dropbox — Dropbox is a great tool to use if you have event-related documents, like photo slideshows, PowerPoint presentations and other materials that you need to be able to access from the venue. Forget the flash drive and streamline your materials with Dropbox. 4. Tempo Smart Calendar — Up your scheduling capabilities with a smartphone calendar that does more than just keep appointments. This app lets you create detailed daily schedules — minute-by-minute, hour-by-hour — while integrating additional features like maps, Gmail and iPhone-compatible contacts and helpful reminders and alerts.